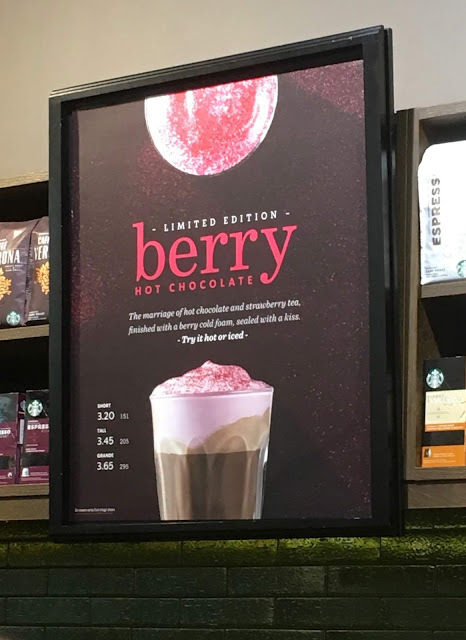 The poster advertising this new Starbucks Limited Edition Berry Hot Chocolate doesn’t actually specifically mention Valentines day, but their new hot chocolate is only available until next weekend, so has launched for a very brief time that does coincide with Valentine’s day week. 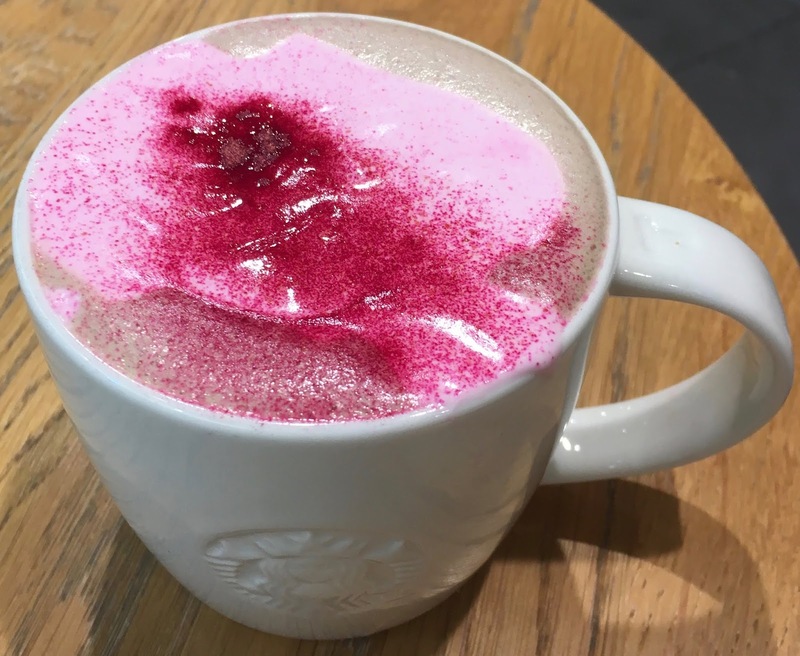 The flavour is called Limited Edition Starbucks Berry Hot Chocolate but it is a much more delicate drink than you might expect from that title. The hot chocolate is infused with berry tea, an unusual start, and has a berry foam on top of the drink. I was lucky enough to be at the front of the counter when the lady in Starbucks was making this Limited Edition Berry Hot Chocolate, and I saw how she made the foam. She placed a sachet of berry powder in the smoothie blender and and added milk and let it whisk, the amount in the blender went pink and doubled in size creating a mouse like substance. She poured this over the berry hot chocolate which had been made with hot milk and then sprinkled some berry powder on top. The drink was visually stunning. The temperature of the thick foam was cold, but the flavour was wonderful. It was quite zingy, especially when you tasted the powder topping, but otherwise it was fruity without being too sweet. The hot chocolate was delicate too, the strawberry taste was subtle, but the sweetness from he chocolate enhanced it. This is very different to the syrup filled hot chocolate they have at Christmas time, this is a mature gentle flavour that still manages to be soothing. It was a yummy drink, and one I think it is heart breaking (pun intended) that it has such a short shelf life.